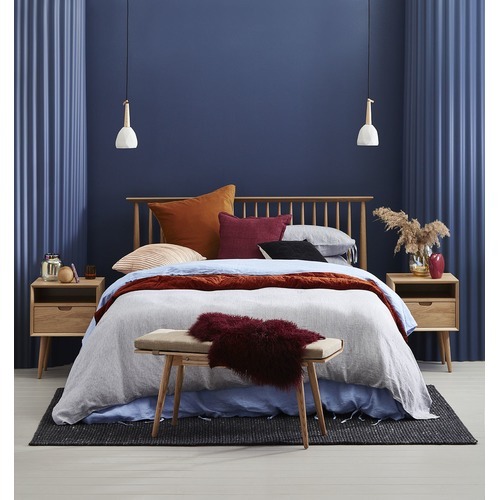 Embrace mid-century style for timeless furnishing in your bedroom. The honey-coloured single drawer design also features a shelf, which is the perfect place for your reading material or jotting pad. It has cylindrical, tapering legs and a surface with space enough for your lamp. 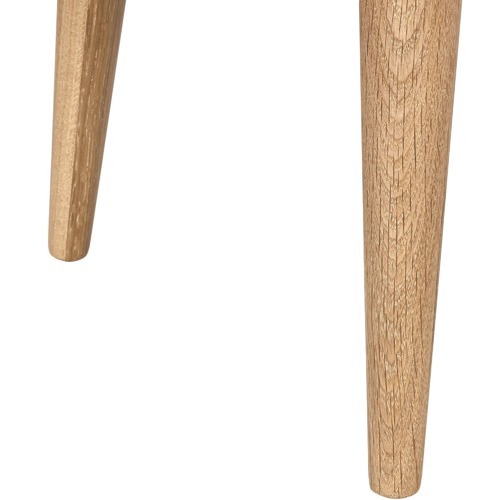 Material: Legs are solid American White Oak. Top, Side & Bottom Panel is American White Oak veneer on MDF. Back Panel & Fixed Shelf is Printed Board. 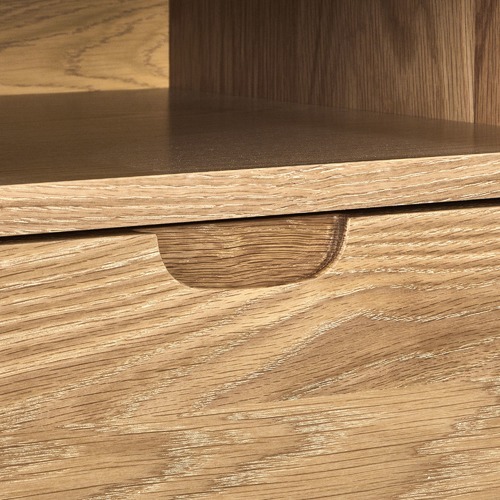 Drawer: Blum soft closing runner. 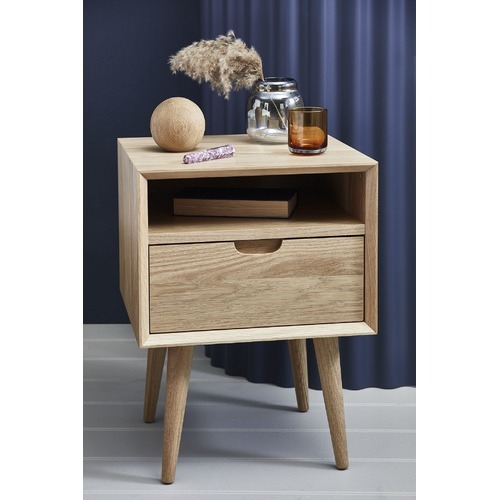 The Olsen Oak Square 1 Drawer Bedside Table is a Scandinavian or Retro style product. Scandinavian style is exemplified by clean-lines, simple, and functional. Scandinavian interiors feature bright white on floors, fabrics, and walls. While, unpainted, light wood furniture that embraces the natural grain adds much-needed warmth to spaces. Sleek, utilitarian furniture without much embellishment is a mainstay in this minimalist style with a modern flair. 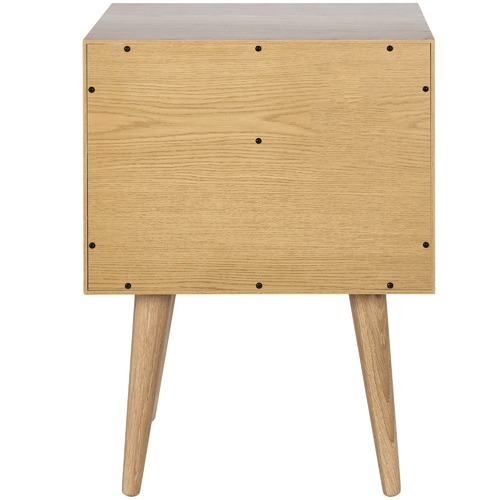 You can shop for more Scandinavian or Retro Bedside Tables in the Furniture section of our site. 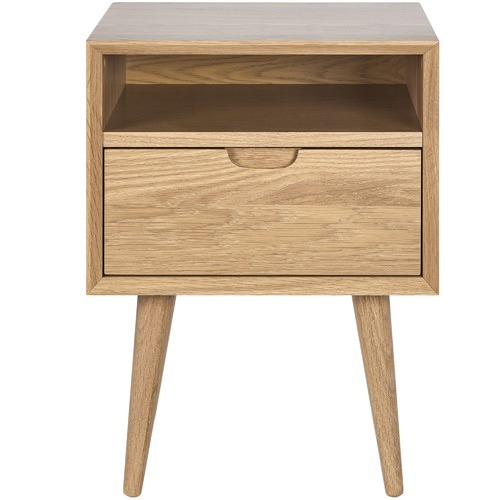 When you buy a Olsen Oak Square 1 Drawer Bedside Table online from Temple & Webster in Australia, we make it as easy as possible for you to find out when your product will be delivered to your home in Melbourne, Sydney or any major city. You can check on a delivery estimate for the Temple & Webster Part #: IWO1NOKT here. 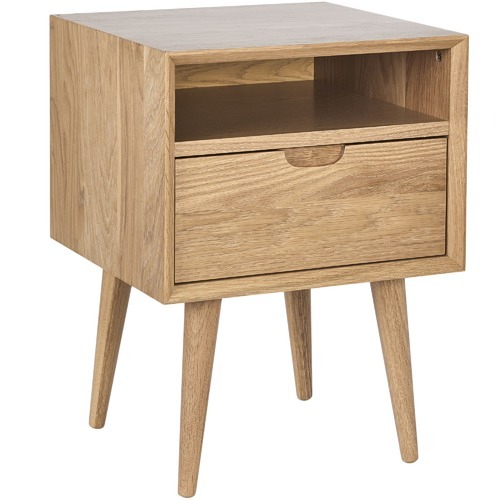 If you have any questions about your purchase or any other Bedside Tables product for sale our customer service representatives are available to help.Whether you just want to buy a Olsen Oak Square 1 Drawer Bedside Table or shop for your entire home, Temple & Webster has a zillion things home. 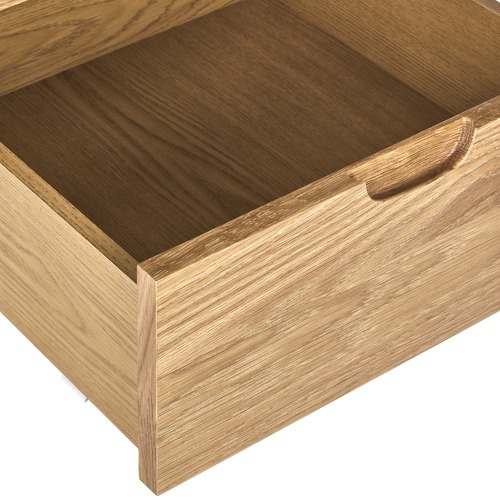 I am so happyI purchased the Olsen Oak beside drawers to accompany my queen bed frame. They are beautiful! 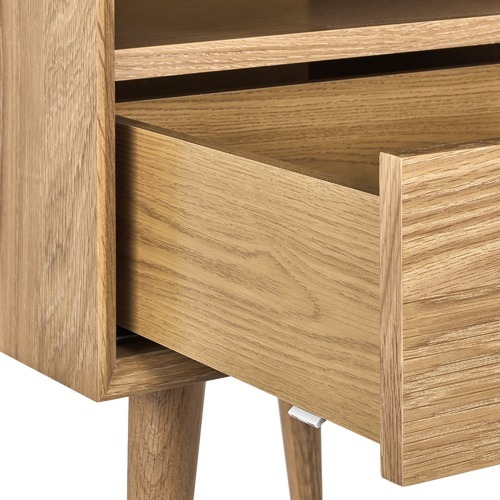 I was originally worried they would be a flat pack, but they are a quality item packed as a complete solid unit with only the legs to screw in! So very happy with the quality and workmanship, I must now buy the matching chest of drawers - I love the look so much! Perfect! After spending so much time in furniture stores looking for the perfect bedroom suite, Temple & Webster came up with the goods again! AND at a great price! 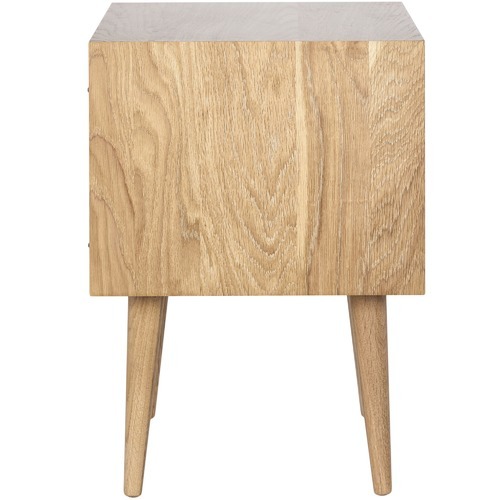 I was really happy with the two Olsen bedside tables and was pleased that they were exactly as advertised. Very substantial and not flimsy at all, with a soft closing drawer. They look great in the bedroom. They were slightly taller than I wanted, against the fairly low height of the bed, but I understood this before purchase. I had the legs modified by about 6cm. Because the legs are screw in, it would be fantastic if there was more than one leg size offered. But, all in all a great product at a very reasonable price. This is a nicely crafted piece of furniture. It feels solid and is perfectly functional. Does the job. More than met my expectation. 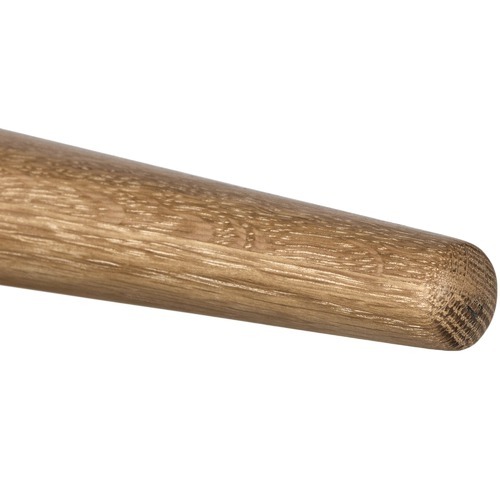 Solid oak construction, virtually no assembly and they look amazing. These are the real deal, not your average flat pack nonsense and they nail the Scandi look to perfection. Just as described. It's a quality, modern piece of furniture. 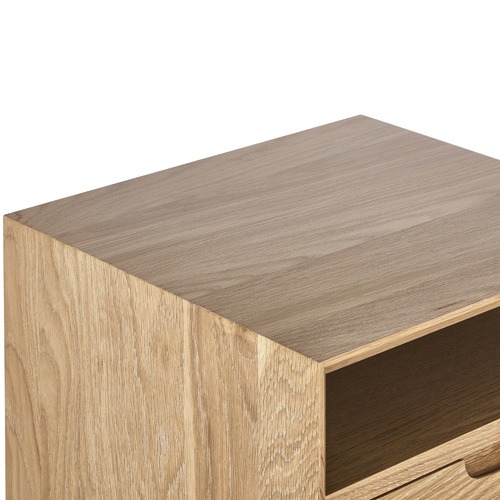 The Olsen Oak bedside tables are of quality design and material. Love these bedsides - look great and extremely easy to assemble. I really can’t fault these bedsides, I absolutely love them!